Is it a Journal or is it Sculpture? 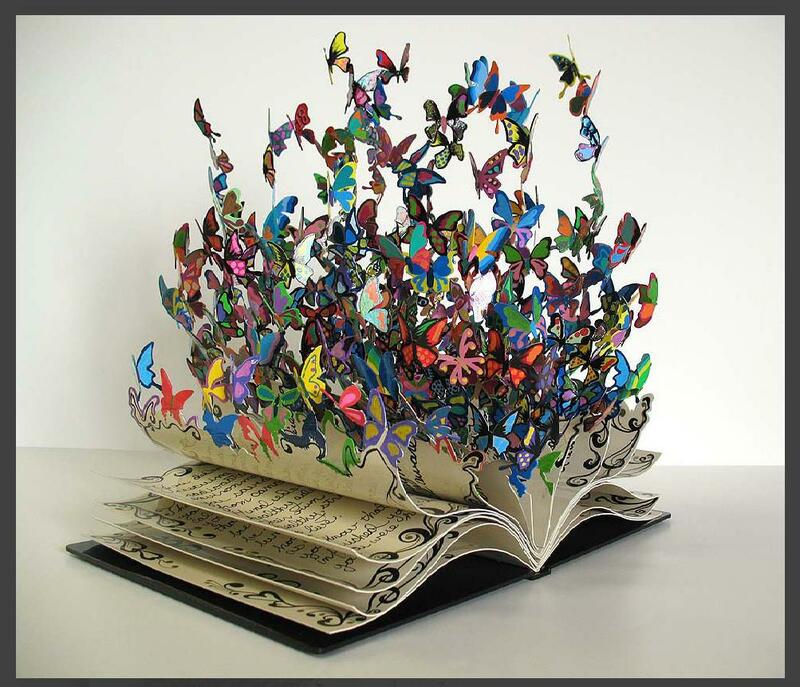 Is it a journal made into sculpture or a sculpture of a journal? A friend of mine sent me this link to this journal/sculpture. I don’t know who created it or what it is made of, but I thought it was interesting and beautiful. If you click on the photo, it will take you to a larger version of the image so you can see all of the details. If you have any information about this piece of art or its maker, please leave a comment.